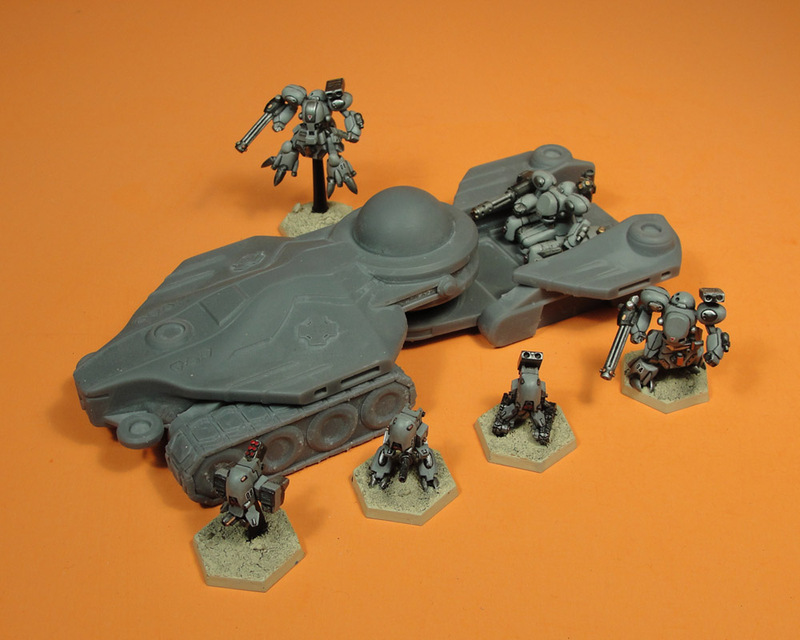 Dream Pod 9: Kickstarter Update: Gilgamesh Command Tank 3d Printed Parts Preview! Below is an image of the Gilgamesh forward hull, tracks and drone bays parts assembled along with some of the older painted pewter Armiger and Drone minis for scale. 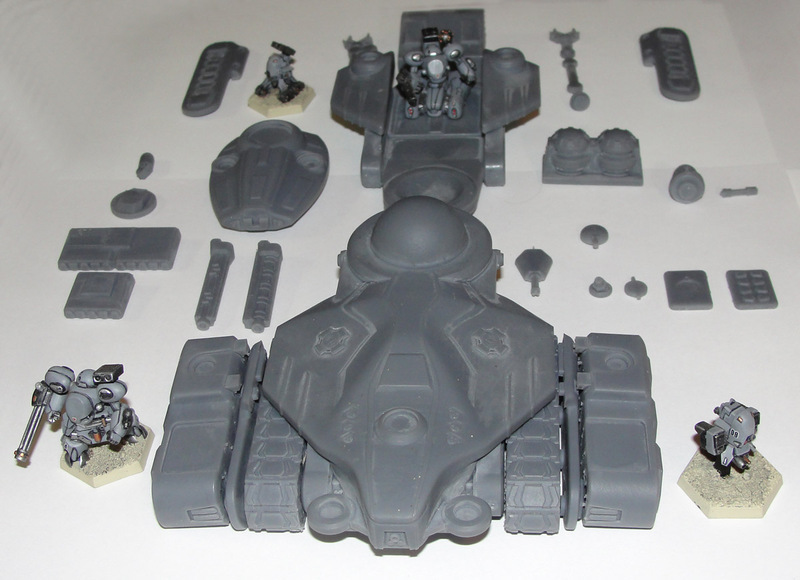 Plus we have a photo below of the forward and rear hull parts assembled along with the older pewter minis for scale. Finally an image of the Gilgamesh 3d model we made for an earlier update with the measurements of the model so you can see how this large resin model will look like when assembled. 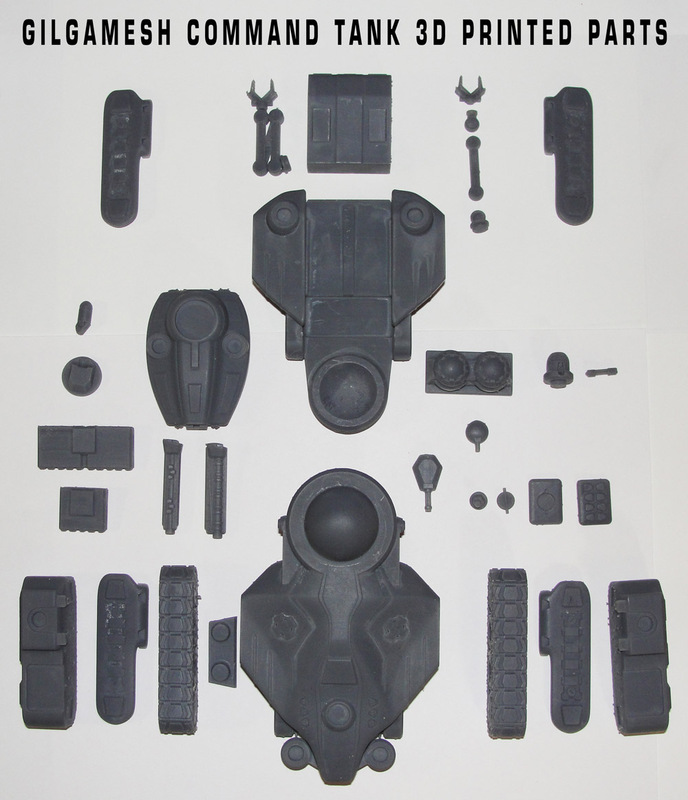 Home › Blogs › Robert Dubois's blog › Kickstarter Update: Gilgamesh Command Tank 3d Printed Parts Preview!